Ventilair engineers offered MBBR technology. MBBR technology employs thousands of polyethylene biofilm (MBBR)" movable bed bio reactor"carriers operating in mixed motion within an aerated wastewater treatment basin. Each individual bio carrier increases productivity through providing protected surface area to support the growth of heterotrophic and autotrophic bacteria within its cells. It is this high-density population of bacteria that achieves high-rate bio degradation within the system, while also offering process reliability and ease of operation. mow-a-days this technology is best for treat sewage water. So as to acquire utmost level of customer credibility and faith, we are involved in presenting Construction Type Sewage Treatment Plant service to our privileged patrons. These rendered services are imparted by some of the assiduous executives in tune with industry defined values and standards. Additionally, these services could be purchased from us at feasible costs. "Ventilair Engineers" is a leading manufacturer supplier company of Sewage Treatment Plant for ANIMAL WASTE (ANIMAL HUSBANDRY) IN INDIA. We have already installed 700 above waste water treatment plants in India and abroad. 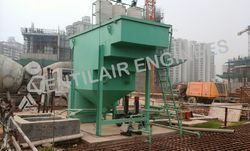 Ventilair Engineers have also installed step for animal husbandry. 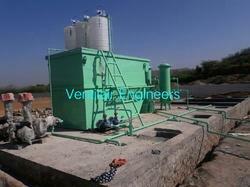 We are offering MBBR Based Sewage Treatment Plant. 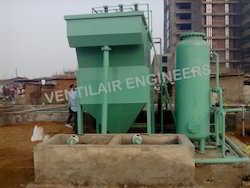 "Ventilair Engineers" is a leading manufacturer & supplier company of MBBR Based Sewage Treatment Plant .we have already installed 700 above waste water treatment plants in all over india and also in abroad. 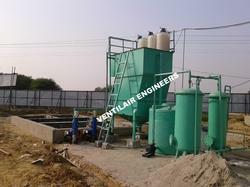 Ventilair engineers provides MBBR based treatment plant.